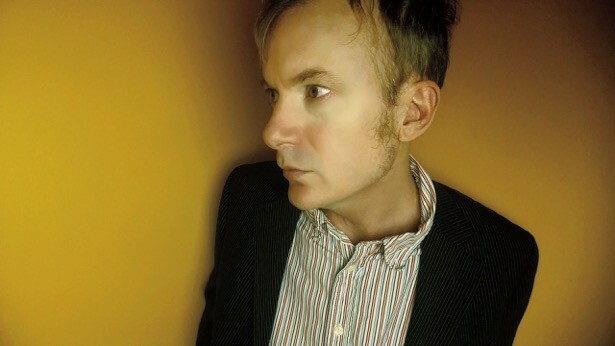 What motivated you to do an album outside of Fountains of Wayne? The last FOW album was a struggle and tensions between myself and Adam were high. Sessions stopped in the middle because of it. We saw a psychiatrist together to try to get along, which was at least partially successful in that we were able to finish the album and tour together in support of it. In the end, none of the issues that had derailed the album in the first place were ever resolved. I knew I couldn’t make another FOW record and I needed to do something different. In the time that’s passed since then, I still can’t imagine going back into that situation. People grow up and change and realise they don’t have the same goals; life goes on. You have been quoted in an interview that you wanted to write and record from a different place and did not want Look Park to sound like FOW, how did you make this goal a reality? What were the steps that you had to take? When I first started writing for what became the Look Park record, I told my manager I’d like to work with a producer with a big footprint – someone who would get me out of my usual habits. And his advice was to make really stripped down demos of songs, so a producer could hear his or her own ideas in them. I did that for a while and then gradually they got more complicated. I really like arranging for all the instruments in a recording and by the time I got around to demoing “Stars of New York” it was a full arrangement, albeit with a drum machine and my not-so-good keyboard playing. I found Mitchell Froom on the internet and sent him some demos and a clip-art picture of a briefcase full of cash, and soon we were doing pre-production on opposite coasts via email and telephone. Working with him was like a dream come true. He had heard of FOW but didn’t know much about us besides the radio hit. I was a fan of his for decades and was ready to listen to whatever he said. And a lot of that, incidentally, was undoing all my go-to recording crutches – crash goes here, tambourine goes here, ride cymbal goes here, etc. The Look Park record eschews all the obvious power-pop tropes and in some places feels comparatively disjointed. Some of these spots felt unnatural when we were tracking but now I look forward to the little irregularities. What was the hardest part of writing and recording Look Park? What was the easiest? I wrote a lot of songs in between FOW and Look Park, and it was really difficult deciding which ones to hang on to and which ones to put aside. Some of the more upbeat ones sounded like Utopia Parkway-era FOW, which is fine I guess, but we already did that. I was also quite attached to a few of the downbeat numbers – “Minor Is The Lonely Key,” “I’m Gonna Haunt This Place” and “Get On Home,” which meant that this record would be a little morose. I talked with Mitchell about maybe recording something more upbeat in our second session but he said he believed in putting the best songs forward, which I think we did. I’m still tinkering with some of the more upbeat ones, which I’ll record one way or another. The easy part, at least in comparison to the way FOW had always operated, was the actual work of recording the album. Mitchell and I had laid out the parts and arrangements but both other musicians (Davey Faragher and Michael Urbano) played around with the songs and made them their own. Mitchell definitely taught me the value of letting good musicians do what they do. You have been gigging as Look Park to promote the album – what has the response been like to the new music? We did one show as a duo (me and Scott Klass from the Davenports), one in Northampton as a full band, and the third one was the Fuji Rock Festival in Japan. I’m always a little wary of playing songs live for people who haven’t heard the record, especially as a duo, with all the pieces of the arrangement missing. Obviously, as an audience member, if you already know the song, you’re mentally filling in all those missing things. It’s especially true on this record, where so much of it isn’t a straight 4/4. I was more excited to do the full band show, and that gig was exhilarating. Three of the band members are well known musicians in Northampton and we got quite a warm reception here. Japan was a blast as always. FOW had played the big stage in 2011 and Look Park had a smaller stage this year. There’s always a core group of people who are so enthusiastic and welcoming that Japan feels like a second home at this point. And it was a thrill taking the band, none of whom had ever been there before. How far and wide do you expect to take the Look Park live act? Anything planned for outside the US? We’ve worked out the songs as a duo, a three-piece, and a full five-piece band, so I guess we’ll bring along as many as our budget allows. We’re going out as a three-piece with Squeeze in September and October on the west coast of the US, and into Vancouver, where I haven’t been in years. I’ll get back to you about the rest! Buy Look Park from iTunes.